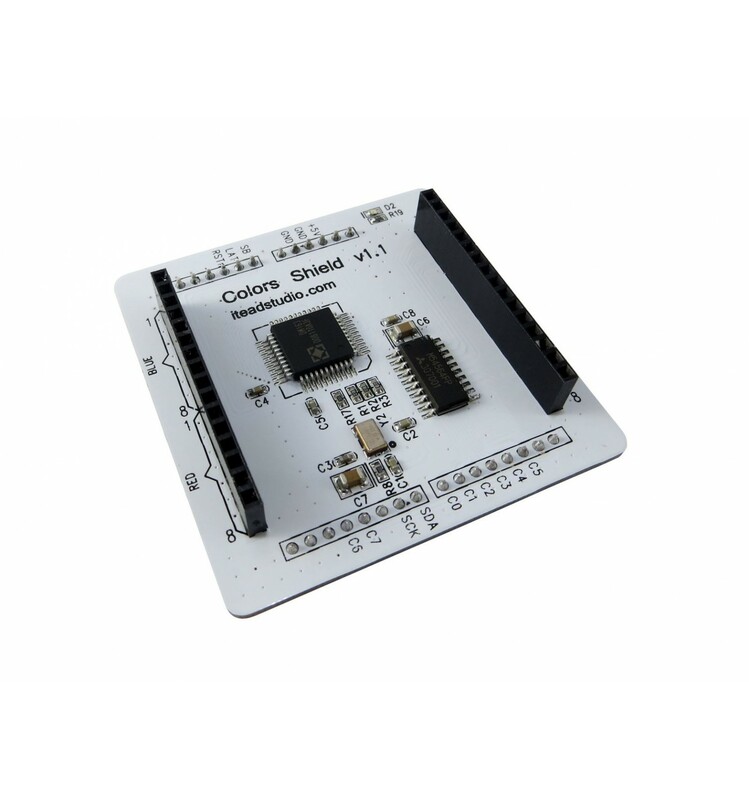 The Arduino RGB LED Matrix Shield is an expansion module designed to plug directly into an existing Arduino UNO, Duemilanove or Leonardo project, with the specific purpose of controlling an RGB LED matrix. This helps by greatly reducing the amount of work that the Arduino microcontroller would typically need to do with software, and also allows for more control over the matrix as well. 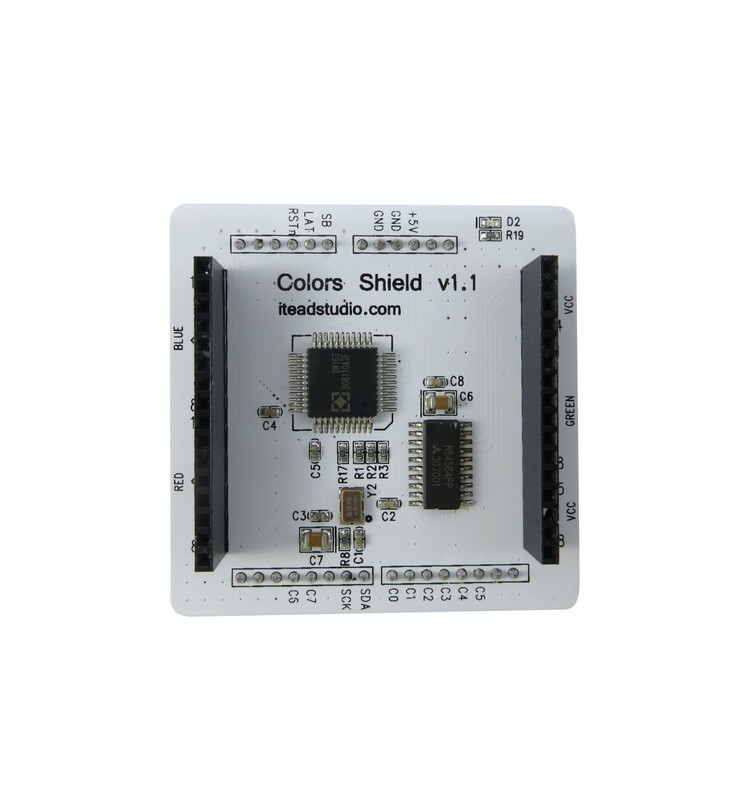 The first primary benefit of this Shield is that is handles an entire RGB LED matrix, meaning that the microcontroller on the Arduino Boards don’t have to. This ensures that your main MCU can run more complicated software and simply pass on instructions for the Shield to do. And while this may not seem like much to a beginner, veterans will understand that every byte and bit matters when coding complicated processes or within complex systems – making this Shield invaluable for intricate projects that would typically face memory limitations. The second benefit, which could even be considered as more valuable, is the three channels of 8+6-bit hardware PWM, which enables the Shield to control the apparent brightness of the Red, Green and Blue LEDs. This theoretically allows for around 160, 000 colours, although not every colour variation will appear different to the human eye of course. However, with that being said, the additional DM163 constant current driver also allows for a 6-bit colour correction, which will ensure the colours are far more precise compared to typical RGB multi-colour LED displays. The Arduino RGB LED Matrix Shield can be utilized for any projects involving any compatible Arduino board (Uno, Duemilanove or Leonardo) and an RGB LED display, and can greatly enhance not only the efficiency of the system, but also the functionality. In addition to offering its own unique set of features, like PWM brightness control and on-board colour correction, it can also allow for the Arduino MCU to focus on more important, complicated processes. Building a huge “LED Matrix Ping Pong Game” in which a ball bounces between two players’ pegs – with special power-ups appearing as big colourful orbs. Turning a display-dependent Arduino project into a portable project, able to go out into the world with its own real-time display. Crafting your own custom Arduino watch that adjusts the brightness and colour according to your surroundings – glowing different colours at different times of the day and different levels of brightness depending on available light. As you can see, the Arduino RGB LED Matrix Shield is ideal for any Arduino project that utilizes an RGB LED Matrix display, and simply takes responsibility of all of the effort required to power, operate and control an RGB LED display. This leaves you with more processing power to amaze your peers and impress those potential partners – or simply for a fun Arduino project you’re working on.